Baby feels right at home in the dome! 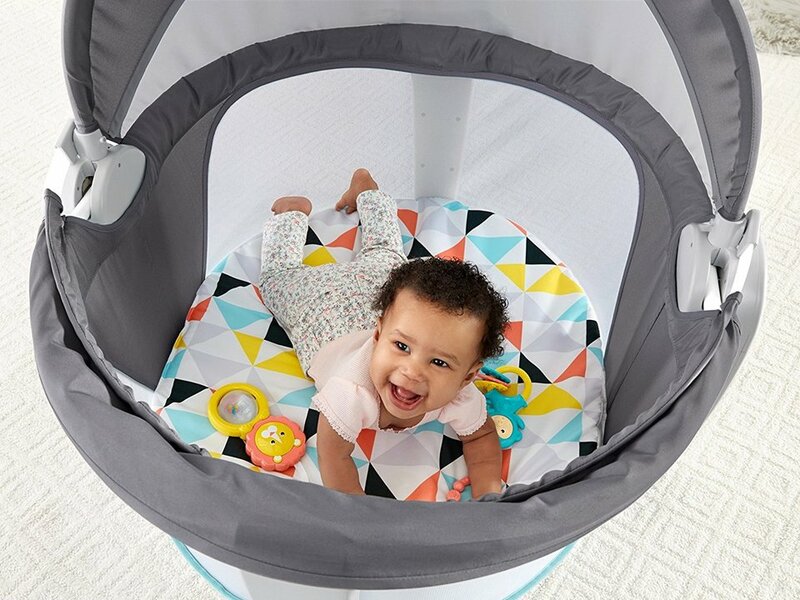 That's because it features a comfy pad for your little one to nap on or play on and a canopy that protects baby from sun and bugs. The canopy fabric has UPF20 protection which provides a UV shield. Use it indoors or out! Two colorful toys dangle overhead to encourage eye tracking. The toys can be removed and placed within baby's reach for exploring the textures. And when you're ready to pick up and go again, just fold the dome and use the handles to take it with you! It's a great take-along for camping, picnics, a day at the beach, play dates, or a visit to grandma's house. 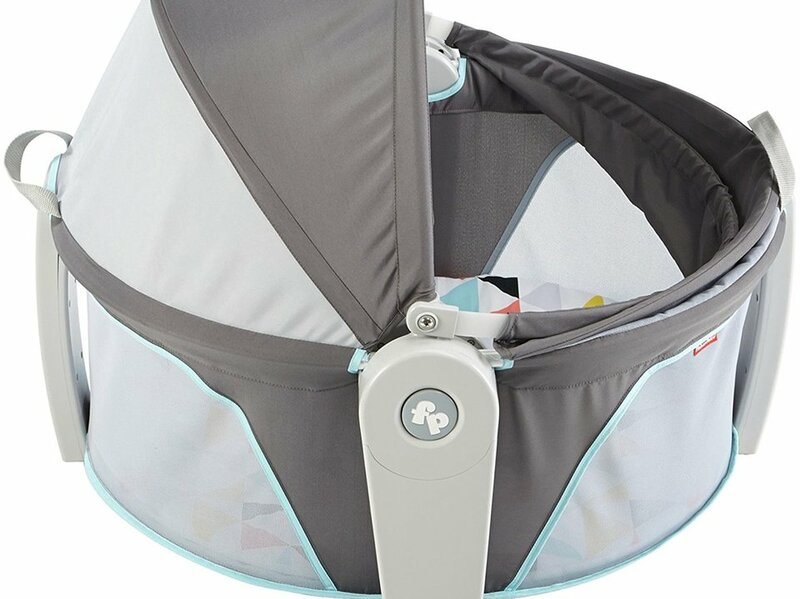 Where development comes into play Security & Happiness: Soft padding and sun blocking visor help baby feel secure when away from home. 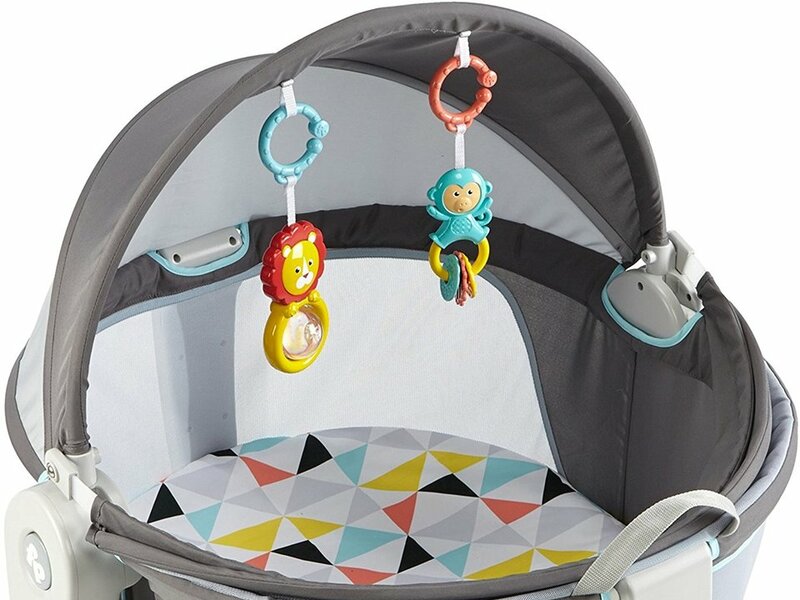 Fine Motor: Dome includes link toys that will keep baby busy while strengthening and developing fine motor skills.